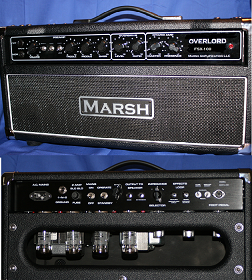 The power of the original Marshall Plexi sound has been used by the Guitar Heroes of our days!!!! From Hendrix to Clapton to the contemporary six stringers worldwide all have wondered at the responsiveness of this wonderful amp desiogn from Jim Marshall and his engineers. Four EL34 Valves pushing power into heavy iron resulted in some of the greatest live and recorded Blues and Rock music ever known!!! Our homage to this great platform is shown in the selection of the highest quality components and the use of the right type of resistors in the right location and functions within the amp circuit!